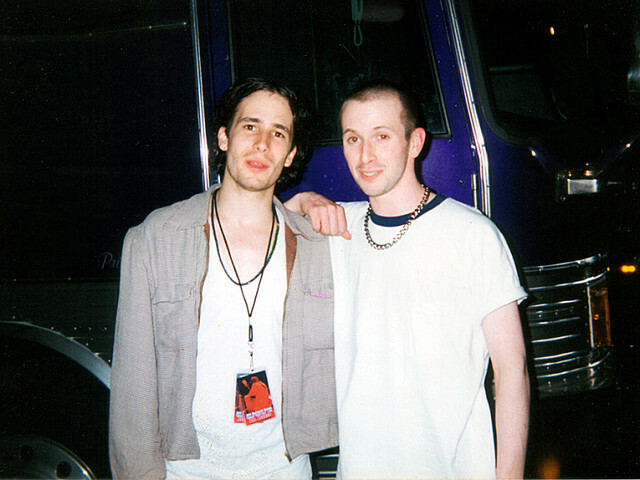 Jeff Buckley was the opening act to Juliana Hatfield when I went to see him in Philly at The Troc. I liked Juliana at the time, but I was there to see and hear Jeff. that I wanted a picture with him but that I left my camera in my car because they didn't allow photos to be taken in the venue. He told me to wait for him outside, in front of the Troc because he and the band had to pack up their instruments soon. He said, "And remember… Don't leave until we get a picture together. I waited for him and he came. That guy was great. I feel honored to have met him. "